C1339. KARL BÖHM Cond. 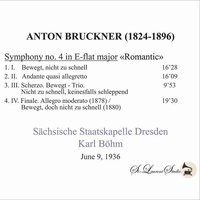 Sächsische Staatskapelle Dresden: Romantic Symphony #4 in E-flat (Bruckner). (Canada) St Laurent Studio YSL 78-244, recorded 9 June, 1936, the first recording of the complete work. 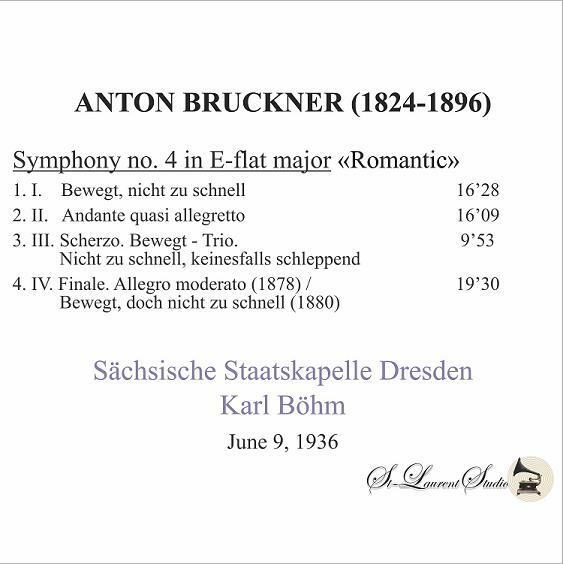 [In Böhm's case, the question of editions disappears in the quality and dedication of the performance.] Transfers by Yves St Laurent. 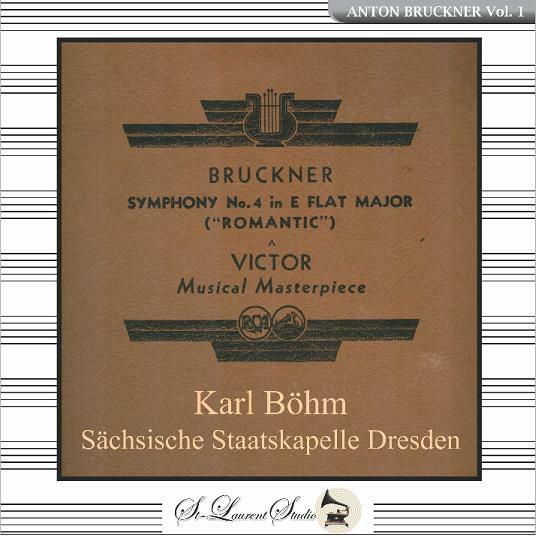 "[Böhm had a] natural, essential music-making….the magical ease and naturalness of transition from one tempo to another, the human warmth, the humor, restrained pathos, the aristocratic and refined taste in final ritardandos and the incredible energy of the man." “Following an apprenticeship in his native Austria, Karl Böhm was appointed, at the recommendation of Karl Muck, to be assistant to Walter at the Munich State Opera in 1921. He went on to become music director in Darmstadt in 1927, in Hamburg in 1931 and, with Hitler's approval, in Dresden, as successor to Fritz Busch in 1934. During his decade-long tenure he maintained Dresden's reputation for imaginative repertory, with performances of new works that included the premieres of DIE SCHWEIGSAME FRAU, 1935, and DAPHNE, 1938, an opera dedicated by Strauss to the conductor. From 1943 to the end of the war, he was director of the Vienna State Opera.